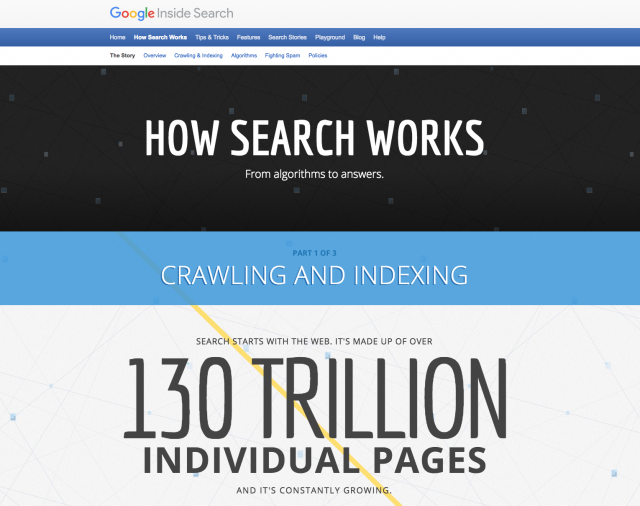 Google has updated their How Search Works page changing the number of pages Google has indexed from 30 trillion back in March 2013 to 130 trillion today. 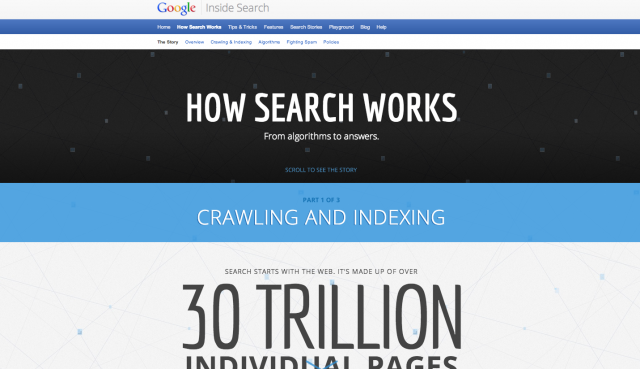 Update from Gary - Google has not indexed all of these 130 trillion pages but knows of them. @dannysullivan @rustybrick fyi the web that we see is that big, not Google's index. Yes, Google seems to have added over 100 trillion pages to their index in less than 4 years. This is funny because back in 2003-2004, Google and Yahoo use to go at it when comparing the sizes of their index. In fact, Yahoo once mocked Google at their own Google Dance for running out of beer, which was a joke about their index size fight. It is a longer story but it was a joke around how Google can have a bigger index but not stock enough beer for SEOs at their own party. So are we back to index size wars?